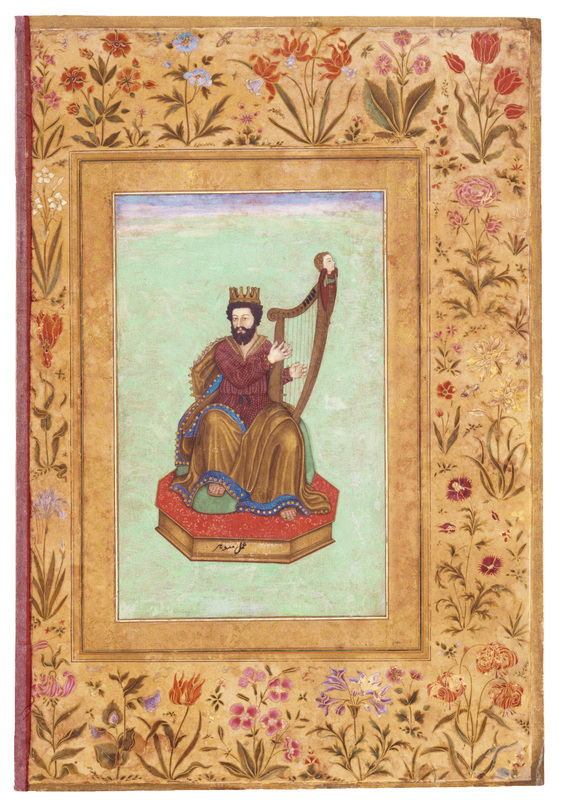 Miniature pasted on an album leaf from the period of Shah Jahan. “King David Playing the Harp”. Mughal India; 1610-1620 (miniature) and c. 1640 (leaf) | The David Collection | Click image for larger view. Here is more music from Aftab’s collection to keep us warmhearted this winter. Reblogged this on Mojo's Page. The Sharafat Hussain Jaijaiwanti is my favourite. Thanks so much for this new collection, Aftab! A 58 minute Miyan Ki Malhar by Mushtaq Ali Khan !! Amazing. Thanks so very much for opening your treasure trove. Great renewed collection.Umeed Ali Khan thumri sounds lovely.Wish the sound quality was good.Loved the compilation.Many thanks. Beautiful rendition of Bhimpalasi by Yashwantrai Purohit like his Malkauns.Thanks. Thanks a million. If possibe kindly upload bairagi bhairon by Roshan ara begum in next installment. take care.